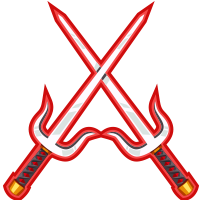 Khan's Revenge is an alliance event in which each alliance member can fight and defend against the Khan camp on the world map. 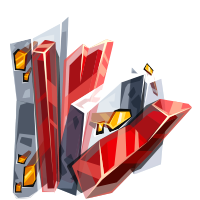 Attacking the camp will earn you Khan tablets and increase its rage level. After each attack, the camp will have a cooldown period which can be skipped with rubies or time skips. Once a camp's rage level is full, you can taunt the Khan and trigger an attack on your castle. 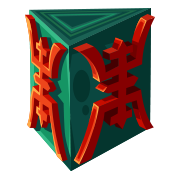 If you successfully defend your castle, you will receive Khan tablets and medals as loot that can be exchanged for special rewards. 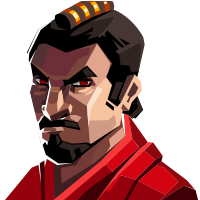 Don't fear the attack of the Khan: Even if he breaches your defenses, he will not loot your castle or burn your buildings! Increasing the rage level of the Khan will help increase the camp's level. Each member of your alliance can help achieve this. 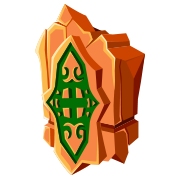 A higher camp level means stronger defenses and more powerful attacks, but also more loot. Additional information about this event you can find HERE. As previously announced, our wishing well mechanic requires some maintenance. 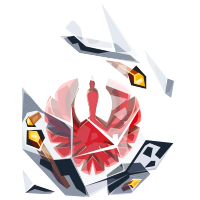 The reason for this is pretty simple: The way we first introduced the feature led to value decay of rubies and items you could purchase, thus creating an unbalanced situation. 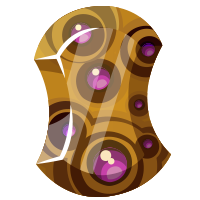 To stabilize the balance, we already reduced the amount of lucky pennies you could purchase in offers and receive as rewards. With this update, we want to take the next step and remove them from our rewards/offers pool and mercenary camp completely, meaning it will not be possible to obtain more of them for now. Don't panic! 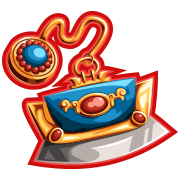 The wishing well will still be available for you to turn the pennies you already own into rubies, as originally intended. Additionally, you will have the chance to transform those pennies into valuable items for immediate use! 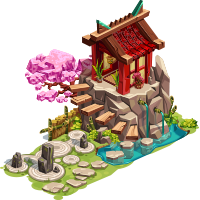 There will be a new trader in front of your castle who exchanges lucky pennies for packages and items. 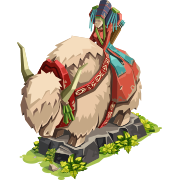 He will offer special troops and items such as horsetail standard and fast travel feathers. 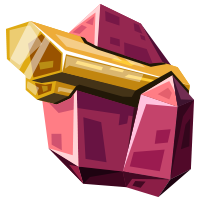 This way you will get the chance to capitalise your lucky pennies much quicker and have access to several valuable items. 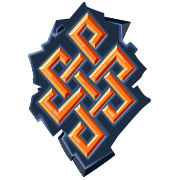 As you know, another important topic in our roadmap was kingdom resources. 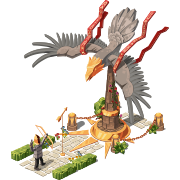 Our intention is to stop the exploit of looting resources in PvP battles in agreement with the opponent, and to reward players who loot resources from NPCs. We are also increasing the amount of kingdom resources you can receive from production buildings. We will exclude all the loot effect exploits from PvP battles, meaning loot won’t be generated when the opponent does not have enough resources. Marauder and Equipment bonuses will still work during PvP battles, but will only increase the amount of resources you can loot, and not generate additional resources. 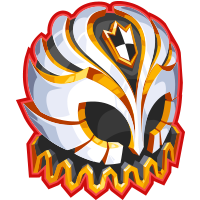 The Marauder bonus on PvP will only affect the glory points earned but won't boost the loot against other players. This change will not affect Marauder and equipment bonuses during PvE battles. Bonuses from the Hall of Legend, researches, alliances, and Berimond titles will no longer allow players loot more resources in battles against other players, foreign invaders and Bloodcrows. 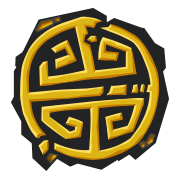 From now on, you will receive and generate additional loot from bonuses received from Hall of Legends, research and Berimond titles against NPC targets only. We will remove the alliance war loot bonus from all alliances and refund the costs for all the levels that have already been upgraded. Instead of this bonus, all alliances can get a new permanent loot capacity bonus. You will now have two kingdom resource production buildings with a productivity level of 100% instead of only one . With this update, we will increase the production of kingdom resource buildings by around 60-80%. At certain upgrade levels, the increase will be even higher. 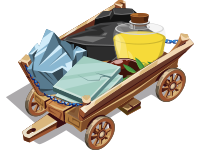 We will add two additional upgrade levels to the kingdom resource booster buildings: Dry storehouse, olive press, and glass works. Players will be able to reach an additional 20% production boost from these buildings. 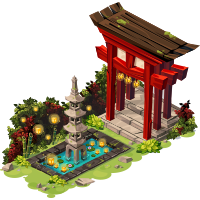 For those who already own level 2 or 3 of these buildings, we will automatically upgrade them to level 4 and 5 respectively (so they will get the 20% bonus for free). 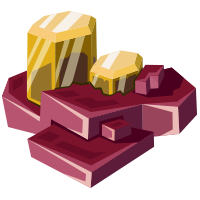 Furthermore, players will be able to upgrade these buildings to level 2 and 3 for resources instead of rubies. 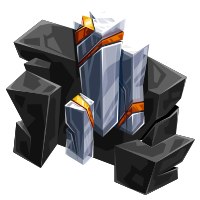 The kingdom resources loot you can plunder from NPC targets will be drastically increased, except coal. This will mean players will receive more oil, glass, and iron when looting NPC targets. 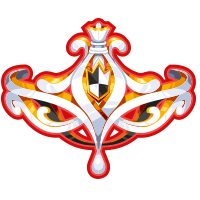 We will significantly decrease the amount of kingdom resources required to upgrade legendary buildings. 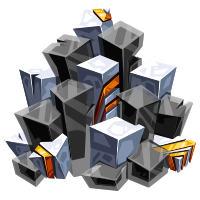 For example, the amount of iron needed to upgrade the Hall of Legends will be decreased by 40-60%. 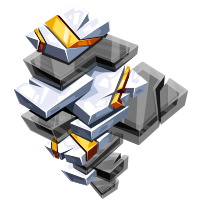 Additionally, you will no longer need any iron to upgrade your iron works and iron mines. We have made some small adjustments to the master builder. We will increase the maximum bonus provided from 25% to 35%, and also increase the number of levels from 5 to 35. 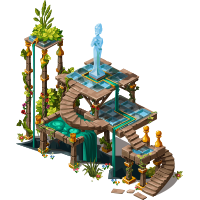 Each level will grant you an additional 1% bonus for fewer resources required when constructing and upgrading buildings. 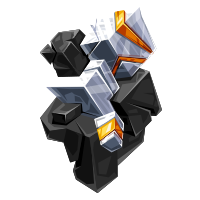 Increases the combat strength of defenders in the courtyard by 20%. Allows 5% more troops to be stationed on the castle wall. 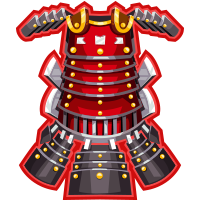 New top rewards will be available for the Samurai invasion, so don’t miss out on the last opportunity to get the rewards currently available for top position in the Samurai event which starts on July the 1st! New equipment set. In order to get next 9 piece commander set- Artifacts of the Ivory Queen - you need to complete all 20 The Queen’s Defense quests in the quest book. Warning: Powerful items for challenging tasks! 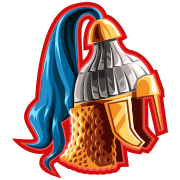 New LTPE reward: Fortunes of the desert sands. 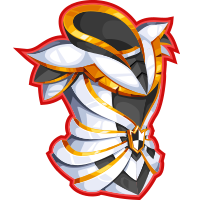 New set will be available for players level 50+ in the next Long term point event. The update should happen on Thursday 6th of July, we still aren't sure on the timings, as it has been postponed, however, it should still happen on Thursday. I've prepared the total statistics for all of the sets here for you, these are not official statistics, I've worked them out myself So they could be slightly wrong.... so take them with a pinch of salt. The totals shown include all bonuses, including those which apply only to NPCs or enemy castle lords, so bear that in mind when cross-referencing the totals. The update has been postponed by 1 day to 6th July instead, this is to solve some technical issues. The Battle for Berimond will start on the 24th and finish on the 28th of July. 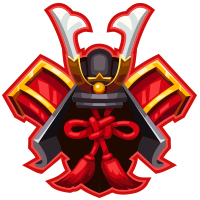 The nomad and samurai sets will not become available during this update unfortunately, due to technical issues related to the rewarding of the sets. Additionally, there will be a longer downtime for the DE and US servers during the update, of around 60 minutes. You may have already noticed that we took away the old alliance war loot bonus, and instead of refunding it, we automatically upgraded the newly implemented army loot capacity bonus. 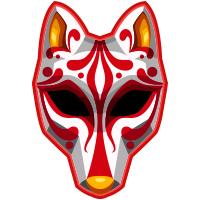 We decided to fix this misunderstanding and to refund the costs with the next hotfix, which may happen tomorrow or in the beginning of the next week. 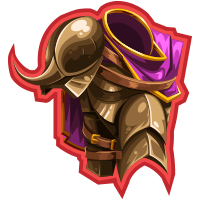 We will also reset the current level of the new army loot capacity bonus. There will also be some minor changes to some effects for the new LTPE equipment set. 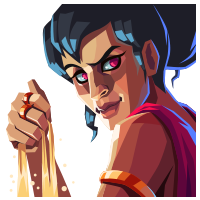 You can find the patch notes for the recent update above. They describe the amazing features that await you, but also mention necessary changes regarding the game mechanics. These may seem to be a cause for some concern and many of you are concerned about maintaining your established gaming behaviours. With this statement, we want to go into detail regarding those changes and hope to develop a mutual understanding. To understand some of our choices a bit better, let’s jump into some details. At the end of last year, we set sail with our Empire boat in the direction of a smoother and more fun gaming experience. The seas are rough, but as you know, the journey is the reward. So as not to go astray, we are using a compass – that’s you, the community! With your feedback you show us which route to take. But sometimes, we will encounter obstacles during our journey that we have to circumvent. Some storms can’t be avoided and we have to withstand them to reach our common goal. 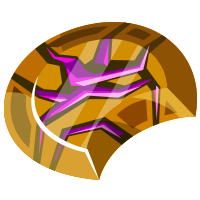 Transferred to our game, such obstacles are for instance the “core mechanics” that have to be changed sooner or later. Therefore, we began to adjust the tool management in one of our last updates to make the mechanics fairer and clearer for everyone. Similar to that and as described before, it was our goal to stop the “unfair” looting in PvP to ensure fair play for the community as well. We agree with you that we let it slip for much too long and some of you adjusted your way of playing to the situation. Essential game mechanics for looting resources were being ignored or bypassed by certain loopholes that should not exist. So we finally committed to the responsibility to act in favor of the whole community and will shoot the bolt. However, as the game became more and more complex over time, this is not possible to fix without touching the overall PvP looting mechanics. The reworking of kingdom resources took many recalculations, and we eventually settled for numbers that reflect the behaviour of a normally active player. 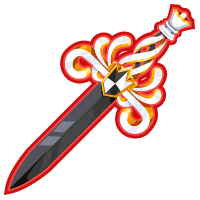 Earning kingdom resources should now be faster and easier, since the looted amounts have been increased significantly. As a result, it should also be faster to upgrade the hall of legends, for instance. Therefore, more players will be able to reach the so-called “endgame” phase, as long as they are actively battling NPCs and playing events as well. We reserve the right to implement changes and adjustments according to your feedback, as long as they match our ideas and serve the whole player community. 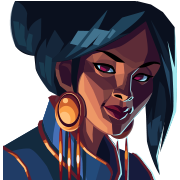 In developing the game further, we will continue to focus on topics that made the game interesting in the first place. Naturally, PvP is playing a big role for us and will be made even more attractive. Our aim is to see you fighting many more “real” PvP battles and therefore we want to foster this feature in particular. In short, we will have to upgrade the existing core mechanics to the state they were supposed to have from the very start, and then nothing will be able to stop you from fighting. Another pain point is the decline in value of some set pieces in-game. Upon request of the community we continuously added new equipment sets to make average players able to compete. As a result, older equipment pieces will inevitably diminish in value and will be replaced by stronger pieces. Nevertheless, we want those sets to not lose their right to exist in the future. This brings us to the Wishing Well. When we introduced it, we couldn’t foresee the effects on the game cycle and on you. Unfortunately, it proved to cause an inflation in the game economy and therefore we had to take measures for stabilization. The first step was to reduce the number of lucky pennies distributed in-game, the second step now is to remove them completely. We have a case of a “volatile game element” here – because sadly, sometimes new features in a game make old features (almost) obsolete, just like it was for items. Those obsolete features either need to be replaced by new ones or need to be re-worked and improved, if possible, to secure the future of the game for you. 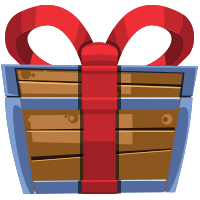 In the case of the wishing well, we decided to go for a compromise between the two options: We implemented a way to exchange the lucky pennies you saved up for rewards that are immediately available to you. 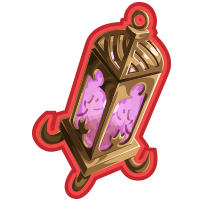 Alternatively, you can still use them in the wishing well to double your rubies, as you know it from before. It’s your choice! We hope that this short statement has made things clearer. Once again, please understand that potential short-term wishes can’t be taken into account for the running update cycle. 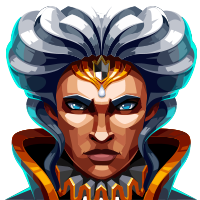 In the future, we will include you more closely and also earlier in the update process, so you will be able to have a more active role in developing the game together with us. 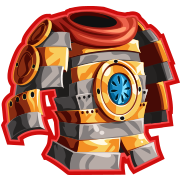 We changed Safekeeper effect in Hall of Legends from 50% to 20% with this update. We were not aware about this change and we are really sorry for the miscommunication. You may wonder what the Queen’s Defense quests are, and how to get the Artifacts of the Ivory Queen set. 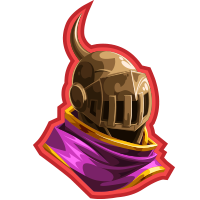 We are here to explain you all the steps you need to make to get the full set and other rewards in this quest chain. We would also like to warn you that gathering the whole set is challenging, but the result is the strong set you can use against your enemies. 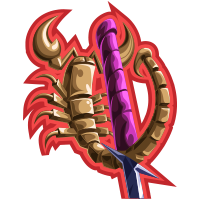 3 Defeat desert towers at level 35 or higher Desert towers can be found on the world map of the Burning Sands. 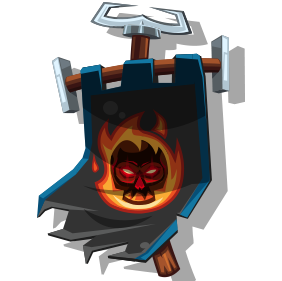 13 Defeat cultists' towers at level 45 or higher Cultists' towers can be found on the world map of the Fire Peaks. Note: You can start working on the next quest only if you have finished previous one. 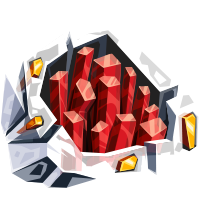 If you compare this with the prices for the old Master Builder upgrades you will come up with a total that is the same amount of rubies for the 25 % bonus effect. 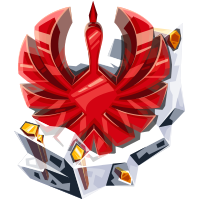 Now you also have the ability to upgrade this building even further, getting 10 additional percent points to your bonus.